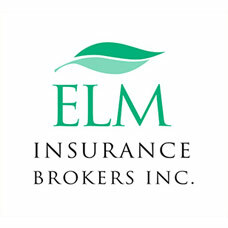 ELM Life & Group Management Inc.
Take Control of Your Life Insurance Budget with ELM Life and Group Management Inc. Individual Insurance is an essential tool for managing your financial future. It allows you to make critical decisions and follow a long-term plan without worrying about sudden expenses; a properly aligned plan can be invaluable. At ELM Life and Group Management Inc., we guide clients through available options to find case-appropriate policies from reputable insurers. Through a strict quality control process, we carefully evaluate every new policy, ensuring dependable financial products for families, individuals and businesses of all sizes. We take a personal approach to every client, and our teams are ready to help you find Life Insurance, Critical Illness Insurance, Disability Insurance, Group/Employee Benefit packages, Travel Insurance and more! Call today to get started. ELM Life & Group made it easy to get coverage for life and critical illness. There were a lot of things I was unaware of and they not only took the time to explain it, but were able to get me a competitive rate. With a myriad of term, whole-life and universal options available, life insurance can be an intimidating purchase for many individuals. ELM Life & Group Management Inc. guides you through the process, optimizing the value of your policy by taking the time to understand your goals and financial capabilities. Disabilities can prevent you from working and cause severe financial stress. Stay secure and guard against unexpected costs with a long-term disability insurance policy from ELM. We explore your options and explain every policy feature, providing you with the knowledgeable assistance you need to make an informed decision. A Registered Education Savings Plan, or RESP, is an investment vehicle available to parents in Canada to save for their children’s post-secondary education. The principal advantages of RESPs are the access they provide to the Canada Education Savings Grant (CESG) and as a method of generating tax-deferred income. If you are diagnosed with a serious disease, you need to be able to focus on treatment –not living expenses. Critical illness insurance pays a lump sum after your diagnosis, providing the freedom to take time away from work and protect savings during a difficult time. Schedule any trip with complete peace of mind. ELM Life can help you find the travel insurance options you need to protect against accidents, illnesses and other unforeseen events. While away on vacation, we provide emergency medical coverage and other extensive options available for groups of all sizes. Our team coordinates your budget and insurance needs for total financial protection. Provide a valuable benefit for employees while limiting the cost of high-quality insurance. ELM Life works with your business to provide better benefits at a lower price, and because we take a hands-on approach and learn about your organization before suggesting options, you receive high-quality financial products that offer long-term financial protection. Get the best coverage at a competitive price. Just fill in the form or call us today.